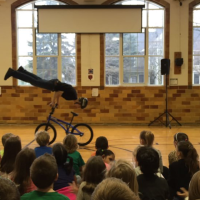 I performed for seven different schools in Ottumwa, Iowa last week. 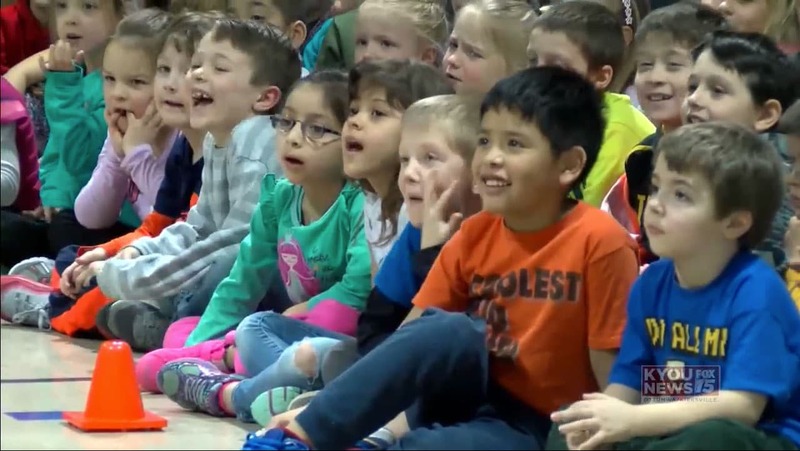 All of the schools had fantastic crowds, and my school assembly program was covered in the paper and on the local news. 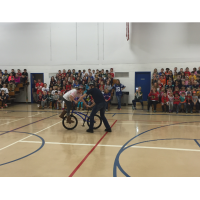 Every single student in the district was able to watch the show and hear the message. 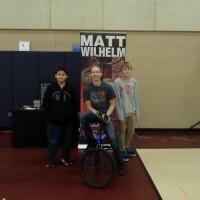 I saw lots of smiling faces, heard some great up-stander stories from students, and received tons of praise from teachers. I am a teacher associate for a special needs child and your performance today made him so happy and excited. 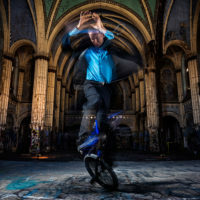 Not only did he talk about your tricks but he also remembered your words. He went home after school and told his mom all about it and he usually doesn't talk about stuff at school like that. 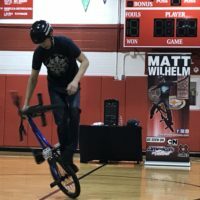 Amazing job Matt Wilhelm and I hope you continue your journey spreading this great message. Here is a link to the segment on the local evening news. 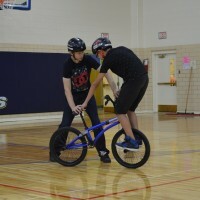 Here is a link to the article that ran in the newspaper. 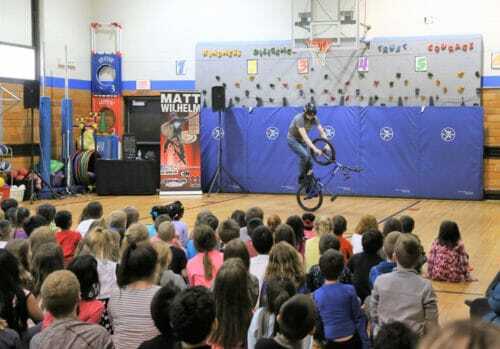 Matt Wilhelm performing at Horace Mann Elementary School.